Jenny Waycott is a lecturer in the Department of Computing and Information Systems at the University of Melbourne. Her current work focuses on the design and use of new technologies to support older adults who are socially isolated. 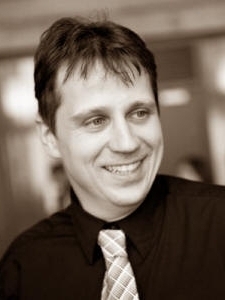 Cosmin Munteanu is Assistant Professor at the Institute for Communication, Culture, Information, and Technology (University of Toronto at Mississauga), and Associate Director of the Technologies for Ageing Gracefully lab. Until 2014 he was a Research Officer with the National Research Council of Canada. 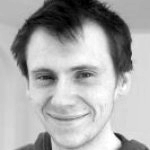 Cosmin’s multidisciplinary work includes speech and natural language interaction for mobile devices, mixed reality systems, learning technologies for marginalized users, assistive technologies for older adults, and ethics in human-computer interaction research. Hilary Davis is a Senior research Fellow in the Living with Disability Research Centre (LIDS), La Trobe University and Swinburne Social Innovation Institute, Swinburne University, in Melbourne, Australia. She conducts research in complex and sensitive settings. Her current research focuses on digital participation for diverse and marginalised communities; including people with intellectual disabilities, housebound people and those disadvantaged due to place. Anja Thieme is a Post-Doctoral Researcher in the Human Experience & Design (HXD) group at Microsoft Research Cambridge. Her research focuses on sensitive, person-centric and empathic approaches to the design of technology aiming to enrich people social and emotional lives. She has experience specifically working with children; people with mental health problems; and people with vision impairment. 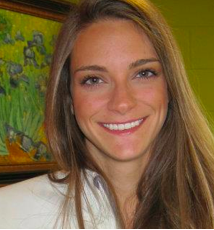 Stacy Branham is a Postdoctoral Researcher in Information Systems at the University of Maryland Baltimore County. She studies communication in intimate couple relationships in which mental disorders and physical disabilities complicate the day-to-day challenge of staying empathically connected. Wendy Moncur is a Reader in Socio-Digital Interaction at the University of Dundee. She is also a Visiting Scholar at the University of Technology Sydney in Australia, and Associate Director of the Social Dimensions of Health Institute in Scotland. Her work focuses on the design of technology to support being human in a Digital Age, grounded in HCI and informed by knowledge from other disciplines including anthropology, sociology, psychology and design. It addresses sensitive contexts including end of life, bereavement, serious illness and relationship breakdown which stir up challenging ethical questions. 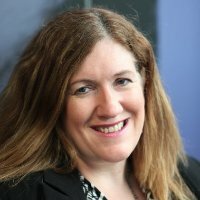 Roisin McNaney is a Lecturer in Digital Healthcare Technologies in the School of Computing and Communications at Lancaster University.
. Her research interests focus on the role that digital technologies might play in supporting self-monitoring and management practices in people with Parkinson’s specifically, and chronic health conditions more generally. She comes from a clinical background and has experience working in both clinical and HCI research environments. John Vines is a Lecturer at Northumbria University, Newcastle upon Tyne, UK. His research focuses on engaging a wide-range of groups in design processes during the early stages of technological development. He has expertise of working with vulnerable user groups, specifically in the context of envisioning future social care, financial management and health-related technologies and services.